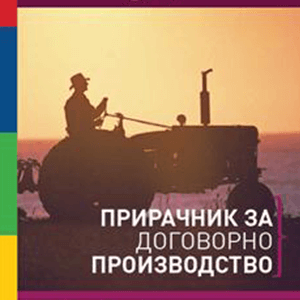 Publication – Manual published by Foundation Agro-Centre for Education. 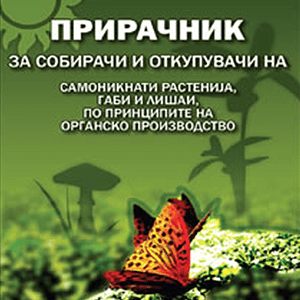 Manual for gatherers and buyers of plants, fungi, according to organic principles. Guide for designing, implementing and overseeing of consultation packages. 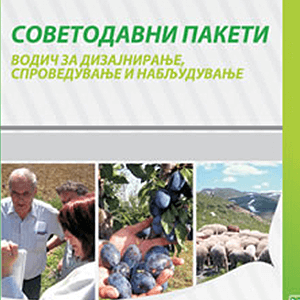 CD-ROM with instructions for designing, implementing and overseeing consultation packages. 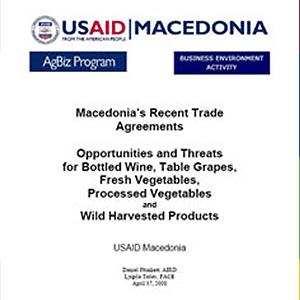 Opportunities and Threats for Bottled Wine, Table Grapes, Fresh & Processed Vegetables and Wild Harvested Products.